29 Mar 2018 / 16:17 H.
NILAI: The Malaysian Halal Analysis Centre (MyHAC), established in Bandar Enstek near here, is proof that the government's emphasis on the implementation and development of Islam in Malaysia is not mere rhetoric. Deputy Prime Minister Datuk Seri Dr Ahmad Zahid Hamidi said the government was very concerned about the delivery system in the management of the halal certification particularly in facilitating the application for Malaysia's halal certificates. "The establishment of MyHAC is a very positive initiative in the country's efforts to uphold the halal industry and it will be the catalyst towards equipping the country's halal ecosystem which not only focuses on auditing processes in halal certification but also involves the monitoring and analysis of samples. "It will definitely contribute towards enhancing consumer confidence in halal-certified products," he said at the officiating of MyHAC here today. The text of his speech was read out by the Minister in the Prime Minister's Department Datuk Seri Jamil Khir Baharom, at the event that was also attended by Malaysian Islamic Development Department (JAKIM) director-general Tan Sri Othman Mustapha and Negri Sembilan state legislative assembly speaker Datuk Seri Dr Awaludin Said. 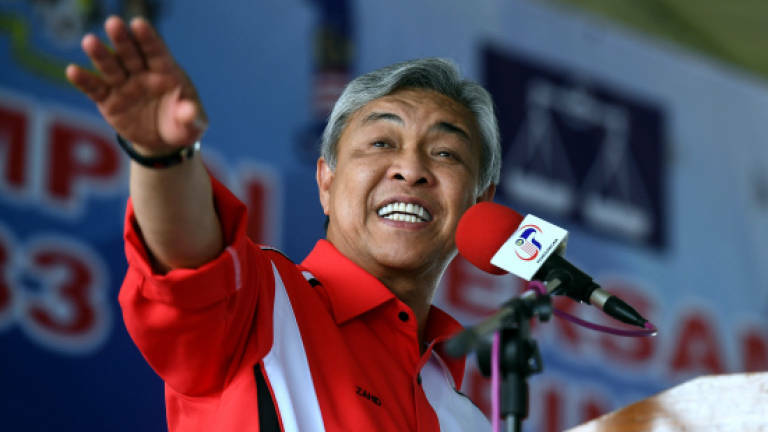 Ahmad Zahid said the idea of ? ?developing MyHAC started in 2005 and was part of the comprehensive development of Malaysia's Halal Complex encompassing management block, training and its own laboratory. "As of the end of last year, a total of nine halal analysis methods have been developed and this allows MyHAC to operate fully and accept samples to be analysed. "I'm also confident that the development of the second phase of Malaysia's Halal Complex, to be implemented in the near future, will involve the construction of the management as well as research and development (R&D) blocks," he said. He said the development project was in line with the five new initiatives mooted by JAKIM namely the Halal Professional Board (HPB), the Malaysia International Halal Academy (MIHA), the Halal International Research Academy (HIRA), the International Halal Authority Board (IHAB) and the Halal Innovation and Technology Centre (HITeC). "Halal certification issued by JAKIM and the State Islamic Religious Department combines both the elements of Islamic law, science and technology to fulfil the demands and principles of Syariah apart from ensuring the safety and hygiene aspects of the products," he said.